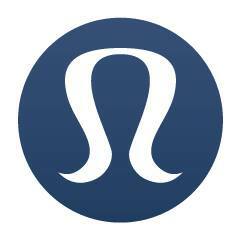 Vancouver, British Columbia--(BUSINESS WIRE)-- lululemon athletica inc. [NASDAQ:LULU] today announced that Tara Poseley has been appointed to its Senior Leadership Team as Chief Product Officer. In this role, Ms. Poseley will oversee the Company's global merchandising and design strategy, working hand in hand with its talented and proven design team including Deanne Schweitzer, Senior Vice President and head of women's design, and Felix Del Toro, Senior Vice President and head of men's design. Reporting to the Company's Chief Executive Officer, Ms. Poseley's responsibilities include merchandising, inventory, allocation and strategic planning. "Tara brings tremendous experience in merchandising and product execution that will greatly enhance the leadership team and increase the level of sophistication with which we approach the merchandising function. In addition, her proven track record in product allocation and planning will help us to maximize the productivity of each lululemon store. Tara checks all of the skill boxes and will be a great cultural fit and the team looks forward to working closely with her," said Christine Day, CEO of lululemon athletica. "With Tara as Chief Product Officer and Jennifer Battersby having accepted the role of Senior Vice President of Sourcing, we have greatly fortified our product engine and execution capabilities, an investment in the business that will pay dividends as we pursue new growth opportunities." A seasoned and accomplished retail executive, Ms. Poseley brings 25 years of experience in strategic product development, merchandising and brand management for both large-scale and entrepreneurial businesses, running apparel, accessories, men's, women's and children's categories. She most recently served as President of Kmart Apparel, a multi-channel, multi-category business with several billion in revenue, at which she was responsible for the revitalization of Kmart Apparel and the launch of several new product collections to attract a younger and multi-cultural customer. Previously, she held the position of Interim President at Bebe Stores, Inc, President of Disney Stores North America (The Children's Place), and CEO of Design Within Reach (DWR). Ms. Poseley also held a range of senior merchandising and design management positions during her 15 year tenure at Gap Inc. Tara practices yoga, is an avid telemark skier, loves spending time in outdoor activities with her family and looks forward to living in Vancouver, B.C. Chip Wilson, Founder and Chairman of the Board added, "on behalf of the Board, we are thrilled that Tara will be joining the lululemon family. We believe that her passion for athletics and product combined with her experience in the vertical apparel business will fit perfectly in the lululemon culture. These strengths will serve her well as she inspires our design team to continue pushing the envelope when it comes to the design, fit and function of our product." This press release contains "forward-looking statements" within the meaning of Section 27A of the Securities Act of 1933 and Section 21E of the Securities Exchange Act of 1934 that involve risks, uncertainties and assumptions, such as statements regarding our future financial condition or results of operations, our prospects and strategies for future growth, the development and introduction of new products, and the implementation of our marketing and branding strategies. In many cases, you can identify forward-looking statements by terms such as "may," "will," "should," "expects," "plans," "anticipates," "believes," "intends," "estimates," "predicts," "potential" or the negative of these terms or other comparable terminology. These forward-looking statements are based on management's current expectations but they involve a number of risks and uncertainties. Actual results and the timing of events could differ materially from those anticipated in the forward-looking statements as a result of risks and uncertainties, which include, without limitation: the possibility that we may not be able to manage operations at our current size or manage growth effectively; the possibility that we may not be able to locate suitable locations to open new stores or attract customers to our stores; the possibility that we may not be able to successfully expand in the United States and other new markets; the possibility that we may not be able to finance our growth and maintain sufficient levels of cash flow; increased competition causing us to reduce the prices of our products or to increase significantly our marketing efforts in order to avoid losing market share; the possibility that we may not be able to effectively market and maintain a positive brand image; the possibility that we may not be able to maintain recent levels of comparable store sales or average sales per square foot; the possibility that we may not be able to continually innovate and provide our consumers with improved products; and the possibility that our suppliers or manufacturers may not produce or deliver our products in a timely or cost-effective manner; and other risk factors detailed in our filings with the Securities and Exchange Commission ("the SEC"), including Risk Factors contained in our final prospectus relating to our initial public offering included in our Registration Statement on Form S-1 (file no. 333-142477) filed with the SEC, as revised or supplemented by our quarterly reports on Form 10-Q filed with the SEC. Our filings with the SEC are available at www.sec.gov. You are urged to consider these factors carefully in evaluating the forward-looking statements herein and are cautioned not to place undue reliance on such forward-looking statements, which are qualified in their entirety by this cautionary statement. The forward-looking statements made herein speak only as of the date of this press release and the company undertakes no obligation to publicly update such forward-looking statements to reflect subsequent events or circumstances.